Yeongjeo-ri (영저리), Kimhyeongjik-gun (김형직군), Yanggang Province (양강도), North Korea, about 20km from the Chinese border. Note: "Yeongjeo-ri"(영조리) is often misidentified as "Yeongjo-dong (영조동)," but the actual administrative unit is "ri (리)." 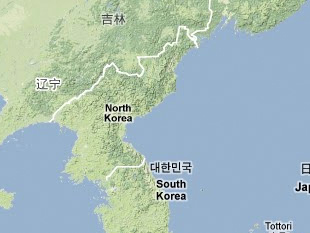 Yang Nak-gyu, “북핵실험 5대 의혹 장소는 [5 Suspected North Korean Nuclear Test Sites],” Asian Economy, 14 April 2011, www.asiae.co.kr/news. Choi Hyun-soo and Ahn Ue-geun, “북 핵 은닉 장소, 평북 구서.영변 일대… 군당국, 8 -13곳 주시 [8-13 Hidden North Korean Locations Suspected of Being Nuclear Facilities],” Kukmin Ilbo, 19 September 2009, via: www.kinds.or.kr; “북핵 개발 ‘의심’ 시설 3곳 [3 Suspected North Korean Nuclear Development Sites],” Yonhap News Agency, 19 October 2002, via: www.kinds.or.kr.